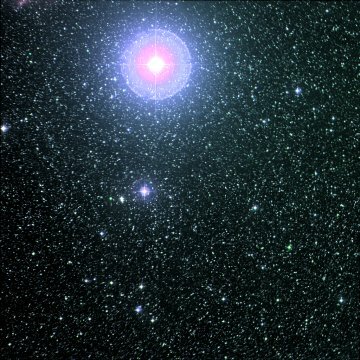 Sh 2-185 consists of a pair of nebulae, IC 59 and IC 63, that according to Sharpless and other authorities is ionised and illuminated by the B0 IVpe subgiant Gamma Cassiopeiae. It is a combination of a reflection nebula and HII region. Sh 2-185 lies in front of the Perseus arm Cas OB1 association as can be seen in this image but is much closer. A much better image of Sh 2-185 can be found here.